It’s a nice mellow week (comparatively speaking) here in beautiful Victoria, B.C. I’m pretty much moved into the new place – acclimatizing to a new level of elegance, fun and different gadgets (like the hot tub on the roof deck – its great but I’m not so sure about all those chemicals that are required!). The new place doesn’t have as much wall space as my old place (its mostly windows), so was a great excuse to invest in a piece of equipment that I’ve been wanting to get for ages – Neuland’s Graphic Wall. This is the wall we’ll be working on when you come for a Private SHIFT-IT Retreat or Private Skills Training with me. I’ll also be using it in the November public workshops on graphic facilitation and graphic recording skills. Talking about the November workshops – we had a bit of a scare with them but it all turned out for the greater good. The location which I’ve had booked for a year, was sold to new owners, who decided to give away one of our four days to someone else – yicks! 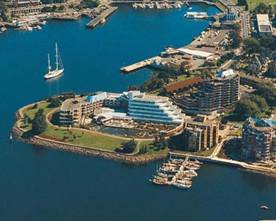 Sooooooo, we made lemons out of lemonade and upgraded the location to the beautiful Inn at Laurel Point (voted in the Top 20 for Canada by Conde Nast!). In the spirit of the graphics work that has been my roots, I’ve chosen to run an article this issue on Meeting Graphics for beginners. Hope you enjoy! Sept 15-Oct 27 (Mondays, 4-5:30 pm PST by Webinar): Level 1: SHIFT-IT Virtual Coaching Group What’s the IT(s) you want to SHIFT? Get crackin’ with this 7-week group coaching experience that guides you step-by-step through the completion of my SHIFT-IT Graphic Coaching Processâ. Appreciate your past. Contemplate your present. Precisely clarify what you now want to manifest and bust through the junk that is keeping you stuck. Conducted via webinar technology with participants from around the globe. Includes SHIFT-IT Home Retreat Kit (or dis-count if you already have it!). Register Now to Secure Your Spot. TRAVELED FROM THE UK -- WORTH EVERY PENNY! "I traveled from the UK to work one-on-one with Christina and it was worth every penny. The power of seeing my life and beliefs drawn out of me --- no room to hide because I created the picture of the new direction I want. There is a clear process and journey when you work with Christina and if you are committed to really shift your life you can expect amazing results in a short period of time. I’ve revamped my diversity consulting business – re-designed my website, offerings and pricing structure – to serve the populations I like best. I’ve signed up for her Manifestation Mastermind which I expect to be another life changing programme (starts after my Caribbean vacation – more time spent there was part of my visioning!). - I can’t wait. Thanks Christina." 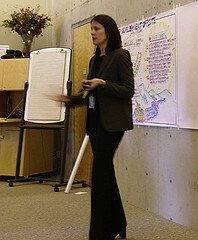 After 14+ years I’m pulling down my shingle as a graphic facilitator and graphic recorder (using visuals in large group settings) in order to devote more time and space for my rapidly growing ‘graphic coaching’ business (using visuals in smaller settings with individuals, couples and biz partners). November marks my last Meeting Graphics 101 training ever... so in homage to my graphic past... here’s an article about the benefits of these wonderful group skills with some tips for beginners entering the field. 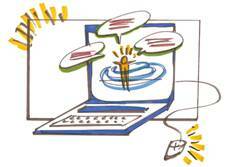 More and more facilitators, trainers and other meeting consultants are adding ‘Meeting Graphics’ to their toolkits. Whether it’s through visual presentation charts, graphic recording (taking real-time visual notes), or creating or using graphic templates to facilitate conversation and decision-making. Get a roll of large size poster paper. Most art supply or print shops carry 20lb bond paper in varying widths and lengths or can order for you (this is the same paper used in architectural CAD machines). Anything between a three to four foot width is good, and usually 25 yards is a normal roll length. While you’re at it, purchase some colorful markers (the main graphic recording colors are: blue, purple, green, brown, black, red and yellow for highlighting). Create a practice space by hanging some of the big poster paper on a wall in your home or office. If space is limited, a sheet of paper on the back of a door is a start. 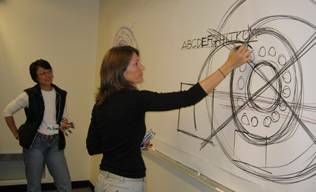 The International Forum for Visual Practitioners is a growing network of people who use graphics in varying ways: graphic recorders, facilitators, other kinds of scribes, synthesizers, etc. Join their list serve at www.ifvp.org to get ongoing announcements, particularly about their annual conference... a great info-sharing venue. 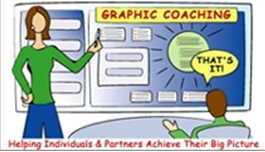 If you are a facilitator already, and want to add graphics to your toolkit, find a Graphic Facilitator in your area (or travel to one) who can provide you with training, mentoring or coaching on the basic skills. Like myself, many of my colleagues offer basic training and/or are willing to create custom training for you based on your direct needs... the same goes for people interested in the Graphic Recorder role. 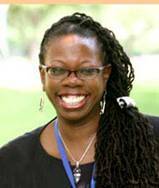 Check out the IFVP Directory, or the GraphicFacilitation.com’s Blog to find folks in your area. The Grove Consultants also has regular workshop offerings. Start with weaving graphics into your work by pre-preparing simple presentation charts (a welcome poster, agenda chart, diagrams of models or concepts). Move up to recording simple lists and clusters. If you are gathering information in specific ways (like doing a SWOT analysis (strengths, weaknesses, opportunities and threats) try creating a simple template. See Grove's Graphic Guides for a full-line of helpful pre-prepared templates – the drawing is done for you so you can focus on gathering content. Like any new skill, it can be intimidating at first to try something new. To ease yourself into it, find small, safe and low-risk opportunities to practice your new skills. Perhaps a regular staff meeting, a workshop you usually lead, or a volunteer engagement. Up the ante as your confidence grows. Purchase a few templates. Or create your own for your own unique needs. It is estimated that upwards of 82% of the North American population are visual thinkers --- so know that you have statistics on your side and many of your participants will appreciate your efforts to cater to their preferred learning style. Ask Christina: How Do Your Life Maps Square With the Abraham Teachings?